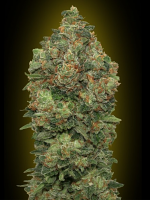 Special Kush #1 - Feminized Seeds. 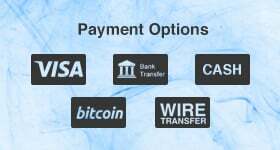 P.N.M. Smoking Special Kush marijuana is extremely pleasant. She combines a true old school hash smell with fruity, somehow, lemony scences. 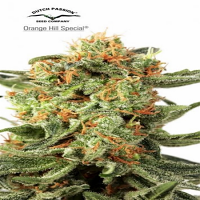 Special Kush is an indica dominant cannabis variety from the Royal Queen's feminized seed collection. Special Kush strongly display the best genetic traits of each parent strain, viz. easy growing, high resin production and a clear uplifting effect. 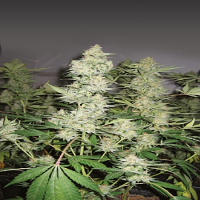 Feminized seeds of Special Kush are totally adaptive to European and USA climates, they are suitable for indoor and outdoor growing and make a good choice for begginers in cannabis growing as they are quite resistant to mold and mushroom. They are selected by hand and show an excellent rate of germination. Following her strong indica genetics, Special Kush feminized produces medim- to tall-sized plants which grow quite bushy and very resinous; compact tight buds build numerous sites filling any gab they can find. Flowering takes 60-65 days during which plants develop long sticky hairs. 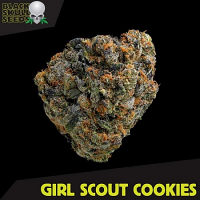 Special Kush has an amazing ability to self administer, they are low-maintenance and, yet, produce 200+ gr of the best quality marijuana per meter. Outdoor yield is ready by the end of September. Smoking Special Kush marijuana is extremely pleasant. She combines a true old school hash smell with fruity, somehow, lemony scences. Once lit, the floral and herbal aromas become more concentrated and the smoke offers sweet flavours. Her THC can be as strong as 16% what provides a strong, long lasting high, clear headed and energizing, letting your creativity out thanks to strong sativa influence.